This article first appeared on the examiner on December 1, 2010. 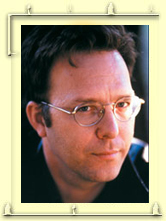 Garth Nix has worn a number of hats related to the book industry. He’s worked as a “literary agent, marketing consultant, book editor, book publicist, book sales representative, bookseller” and as a full time author since 2001. According to his biography on his website he was born in Melbourne Australia in 1963. He currently lives with his wife and two children near Sydney. You can find more information about Garth Nix on hiswebsite, and his facebook fan page (he has reached the 5000 friend limit for his personal facebook and cannot accept any more friends).